Does your child develop a “cold” around the same time every year? If so, seasonal allergies may be the true culprit. Seasonal allergies are caused by an immune response to certain substances – such as dust and pollen – that pop up around the springtime. Warm liquids and humidifiers are good for respiratory allergies, while minor skin irritations can be soothed with topical treatments, such as aloe or olive oil. However, if these options are ineffective, you may consider the use of decongestants, antihistamines, or nasal sprays. Just be sure to ask your doctor if you are unsure of the effects those medicines will have on your child. Generally, allergies are more annoying than dangerous. 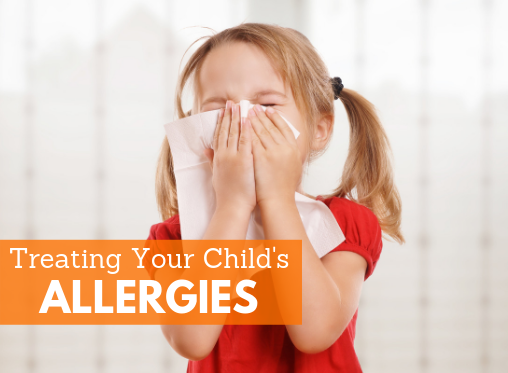 However, if your child’s allergies don’t respond to any treatment, or if your child develops a fever or trouble breathing, you’ll need to call your pediatrician immediately. If you have questions about your child’s allergy symptoms, call the doctors at Purohit Pediatric Clinic today!